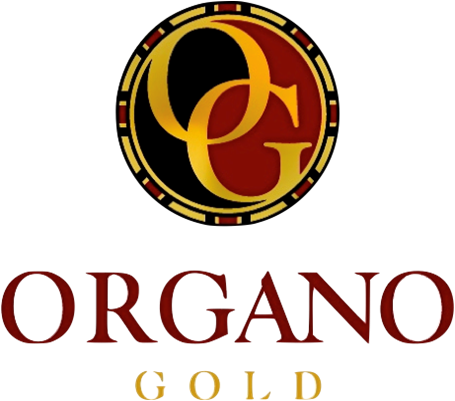 Chances are if you’re reading this page someone probably told you about a business opportunity called Organo Gold, and you are considering becoming a licensed distributor of that company. 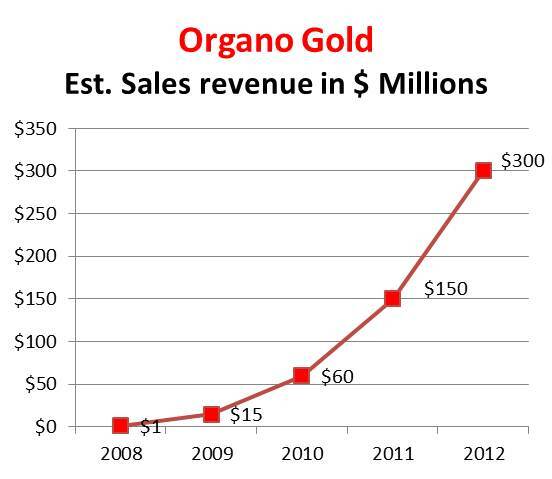 Remember: as easy as it is to become a distributor for Organo Gold, it is a real business. The sad truth, however, is that an OVERWHELMING majority of the Organo Gold distributor force do not make any money because they do not treat their business like a real business, and they do not know how to properly promote the business. There is most definitely high earning potential in the Organo Gold business opportunity, and you may as well become the next top income earner within this company if you learn the right way to promote the business, roll up the sleeves and get busy. Take John Sachtouras as an example. John Sachtouras was a new immigrant to the United States years ago when he started building his first network marketing company. After going through 11 different companies and various degrees of failure and small victories, John joined Organo Gold and after 2 1/2 years… he and his wife Blanca reached the Crown Ambassador rank within the Organo Gold compensation structure. They are reported to earn over $695,000 PER MONTH as of February 2013. Their overwhelming success is obviously an exception – but not unattainable. If you are eager to know and LEARN what the “secret” is that differentiates winners from stragglers, you are on the right track. This the very thing that puts YOU in the top 2% of the industry while the other 98% continue to spin the wheel at a standstill. Before we get into that, let’s take a closer look at the Organo Gold opportunity first. Organo Gold, Inc. was founded in 2008 by Mr. Bernardo (Bernie) Chua with the mission to bring the claimed health benefits of Ganoderma mushrooms (believed to be the most alkaline food in the world) to the masses by mixing them with common beverages such as cofee, tea, hot chocolate, etc. 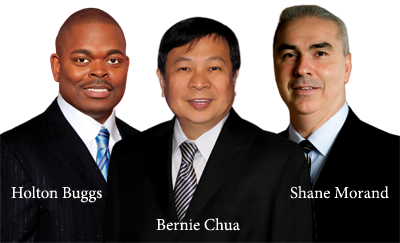 The company currently operates in 29 countries as shown on the company’s official website, www.OrganoGold.com. Bernie Chua, a legendary networker from the Philippines, has built several extensive direct sales teams and won multiple awards in his direct sales career as a field leader. He founded Organo Gold with a strategic alliance with a Chinese producer (located in China) of organic Ganoderma products. Shane Morand has been involved in healthy coffee direct sales since 2004. He has worked directly with some of the most high profile personal development trainers such as Anthony Robbins, ZigZiglar, Brian Tracy, Les Brown, Jim Rohn, to name a few. Shane has also served as the Vice President of the Dawn Breakers Toastmaster Club. Mr. Buggs began his 20 years in direct sales with Amway and has developed systems for organizing direct sales teams. Mr. Buggs specializes in leadership development. Prior to becoming the vice president of sales at Organo Gold, Mr. Buggs was the top field distributor at Organo Gold, having earned as much as $900,000 in a single month. A line of Ganoderma infused beverages include Black Coffee, Cafe Mocha, Gourmet Latte, Gourmet Hot Chocolate, Organic Green Tea, King of Coffee and Gourmet Cafe Supreme. Grape seed Oil, Ganoderma Lucidum Mycelium, Ganoderma Spore Powder and Ganoderma Lucidum. Retail Profit (Paid Daily / Weekly) – By selling Organo Gold Products to retail customers, you can earn generous profits of up to 100%. Fast Track Bonus (Paid Weekly) – Earn $20 – $150 on each OG Promotional Product Pack sold, with no limits to the amount of packs you sell. Dual Team Bonus (Paid Weekly) – Build, lead, and motivate two business teams with one on your left and the other on your right, and they can potentially earn you up to $50,000. Uni level Bonus (Paid Monthly) – Receive bonuses from product orders and re-orders generated in your group, up to nine levels deep. Uni level Matching Bonus (Paid Monthly) – Qualify to earn a percentage of the Unilevel Bonus earned by your Personally Sponsored Distributors, up to 4 levels deep. Generational Leadership Bonus (Paid Monthly) – You can earn additional bonuses as deep as four generations of qualified sapphire distributors and above. Global Pool (Earned Monthly, Paid Quarterly) – You are encouraged to reach beyond your dreams and qualify in sharing 3% of Total Worldwide Unilevel commissionable volume. As of this writing, an income disclosure statement (IDS) is not readily available by Organo Gold. You can access a copy of the its compensation plan here. Organo Gold review: What To Do NEXT? As you can see, Organo Gold seems to be a very reliable business… and in fact, I believe it is possibly one of the best in the healthy coffee direct sales niche. That being said, there are a few key common denominators that will affect the outcome AND income of YOUR business regardless which network marketing / direct sales business opportunity you decide to join. Organo Gold is no different. The reality is that for duplication to actually kick in in a big way, you need to sponsor around 100 people in the life of your career with a company to see significant results, say, an additional $100,000 or more per year. Out of the 100 people you sponsor, anywhere from 5-15 people will actually sponsor additional distributors or customers and the rest of them are most likely just consumers who use the products occasionally but have no motivation to actually share the products or the opportunity. I’ve learned this the hard way myself in my first network marketing company where I sponsored around 30 people personally which grew to a team of roughly 120 people that yielded a decent business that produced, in average, $2,500 a month. It was NOT the 6 people my upline mentors had suggested. It was 30 people. And then I learned the art and science of marketing on the Internet via blogging, and it changed everything. Today my business (not Organo Gold) brings in as much as $24,700 in monthly income while I work no more than 20 hours per week in my business. There is a simple, 5-Step proven formula that my business partner Rob and I have used to create EIGHT different 6-figure and multiple 6-figure businesses online since 1997. In my first network marketing business, I used this formula to generate over 2,000 paying customers who were responsible for $460,000 in sales… all on autopilot. I would like to share that formula with you so you can bring in more traffic, leads (i.e. real people) , sales and a exploding team in your Organo Gold business. Click here to receive instant access to the 5-Step Formula.